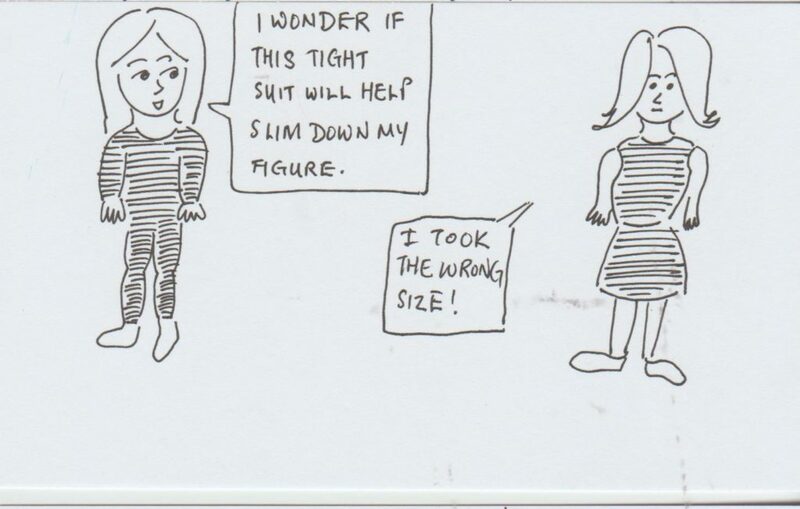 Mindful Doodles #282 – Would you wear this? Tight fitting clothing accentuates figures and flaws. Better to highlight curves and bumps then to hide them. Mindful DoodlesWould you wear this?